Wrap It Up is proud to be a leading supplier for truck wraps. We help transform everyday-looking trucks into one-of-a-kind pieces of machinery that help express your personal style. Our team of experts specializes in the production of high-quality truck wraps that are built to last. Exceptional wraps always come complete with our renowned customer service. Need some more convincing about why you should partner with us for your next car wrap? We have the details below. We know your truck is used for high-performance tasks every day, and that making a wrap purchase is a big deal. In an effort to provide optimal customer satisfaction, we create heavy-duty wraps that are tough enough to last the test of time. Using the best materials and printing production practices, we offer wraps that are designed to match your truck’s high level of performance. Whether you use your truck for a business operation or personal use, we can create a wrap that accommodates your needs. 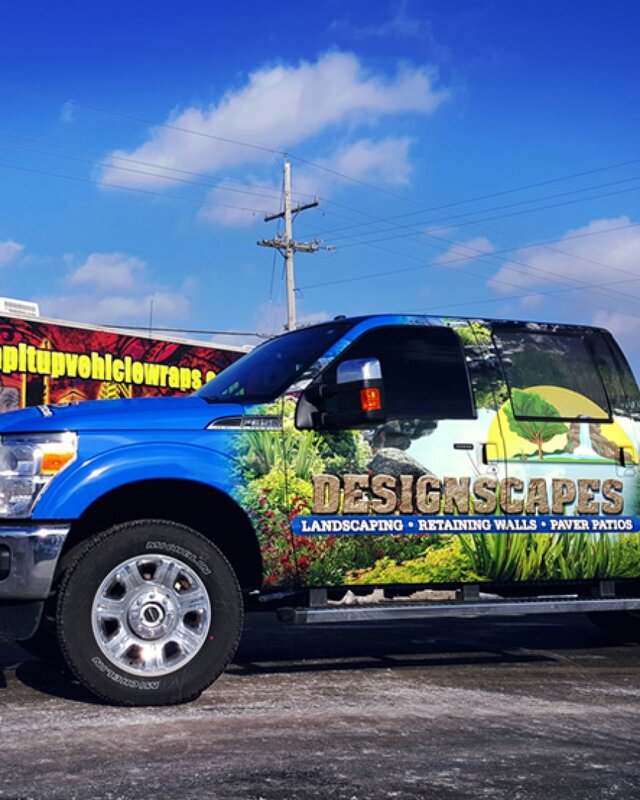 From business graphics to simplistic designs used to enhance your truck’s appearance, we will work with our designers to create unique custom wraps. Long gone are the days of a one-size-fits-all approach. We won’t put your business in a box, because we’re not afraid to design outside of one. If you are interested in learning more about truck wraps, be sure to try our free quote builder. From the convenience of your computer, you can receive a truck wrap bid in just a few easy steps; it really is that simple. Have additional inquiries or would you like to set up an appointment? Call (913) 948-7752 today to get your truck wrap in the works.